The time has finally arrived! 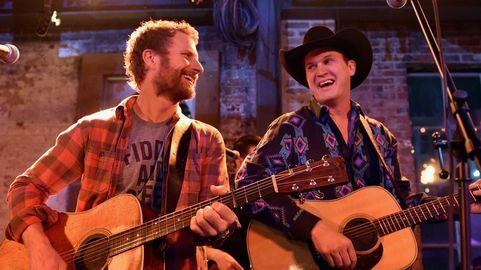 Tickets are NOW on sale for Dierks Bentley, Jon Pardi & Tenille Townes! Just when you thought the opportunity would pass you by, here's your chance to catch your favorite artist LIVE! Their unstoppable tour has had everybody talking and left each and every crowd wanting more… see it for yourself on Friday 16th August 2019! It will all take place at Xfinity Center – what a way to spend your Friday! One of the biggest names on the country scene is the one and only, Dierks Bentley. After kick starting his career off to a seriously good start bak in 2003, when he was signed to Capitol Records. Bentley's eponymous debut, released the same year, was an instant commercial hit, eventually earning platinum certification by the RIAA. His second album, Modern Day Drifter, was also a platinum-selling album. To date, Bentley has released nine studio albums (including a bluegrass album and greatest hits compilation), and of his eighteen singles, thirteen have reached number one in the charts, and seventeen have reached the top five. Black, his most recent album, was released in May 2016. Dierks Bentley brings all of the energy at each and every single one of his live performances, whether it's small and intimate or a large stadium show – this time the crowd will be full of his most dedicated fans, come and be a part of the special night!